It is estimated that 1 out of every 8 people in the United States will suffer with some sort of thyroid disease. Thyroid disease plagues millions, with numerous symptoms that affect quality of life and prevent so many from being the mothers, fathers, husbands, wives, and productive members of society that they desire to be. As a result, millions are forced to seek care for their thyroid health and symptoms, contributing to the astonishing 3.2 trillion the U.S. spends on healthcare per year. When it comes to thyroid testing and treatment, the standard of care has proven to be less than optimal for many of those suffering with thyroid health. Millions are left suffering despite taking mediation and having “normal” labs, leaving them searching for answers or eventually giving up hope for a better resolution. The human body is a very complex and comprehensive organism, composed of trillions of cells, 78 organs, and over a dozen systems. In other words, you are more than a thyroid gland. Unfortunately, however, this is how many individuals are treated when seeking care for their thyroid health. Doctors simply evaluate markers associated with thyroid health and prescribe treatment in the form of medication, radiation, or surgery. The goal of conventional thyroid treatment is to simply normalize your TSH (Thyroid Stimulating Hormone). Normal TSH, however, doesn’t mean that your thyroid health has returned to normal. Thyroid hormone metabolism is a comprehensive, multi-step endeavor. I have written about this process extensively, and that can be found HERE. In addition, the thyroid gland is influenced by the many other organs, glands, and cells of your body. In fact, the #1 cause of hypothyroidism in the United States is not due to a thyroid problem, but an immune problem (Hashimoto’s hypothyroidism). To truly evaluate and improve your thyroid health, a comprehensive approach must be utilized. I refer to this comprehensive approach as the 5 Gears of Health. The gears are Detoxification, Nutrition/Exercise, Hormones, Nervous System, and Education/Accountability. Our bodies are exposed to thousands of toxins on a daily basis. Over time, our bodies become burdened with these toxins, causing our detoxification pathways to become overwhelmed and less efficient. Properly supporting and enhancing these systems is necessary if true health is desired. Now, let me be clear, I am not suggesting a “cleanse”. I am not talking about going to the local “health” food store and simply buying a product that causes you to sit on the toilet for the next 4 days. Nobody has time for that! What I am suggesting is working with a qualified healthcare professional to walk you through the process of Phase 1 and Phase 2 detoxification. Just like you change the air filters in your home and vehicle, it is important to routinely clear the pathways of your detoxification system. When it comes to thyroid health, detoxification is very important, considering that the majority of the T4 to T3 conversion occurs in both your liver and your gut. What this means is that you could be taking all the T4 medication (Synthroid, Levothroid, Levothyroxine, etc.) that you want but if your body isn’t converting it into the “active” T3, you will continually suffer with symptoms. Or if you are taking T3 (Cytomel) or Desiccated Thyroid (Armour, Westhroid or Nature-Throid) but the hormone isn’t entering the cell due to inflammation, you will continue to suffer with thyroid symptoms. I find that addressing detoxification and gut health in my practice to be a major “game changer” when helping individuals regain their thyroid health. The body requires certain nutrients, minerals, and vitamins to function at its highest levels. We provide those nutrients with the food choices that we make. When we eat foods rich in nutrients, our bodies have the resources to function at a high level. When we eat foods void of those nutrients, or containing substances like artificial colors, sweetener, MSG, and sugar, that is what our bodies have to use. A specific nutrition plan must be implemented to improve your thyroid health. Discovering foods that “heal” your body and those that “harm” your body must be a priority. Food intolerance testing can be very useful for this, as well as elimination diets. As long as an individual continues to consume foods that are creating inflammation in their body or eliciting an immune response, they will continue to suffer with thyroid health issues despite the medication. We all know the importance of exercise but most of our population doesn’t do it consistently. To make matters worse, many thyroid sufferers find themselves frustrated with exercise due to lack of results or feeling worse when they do it. When it comes to exercise, the key is to “workout smarter, not harder”. A strategy must be put into place to allow proper exercise that provides results. For many thyroid sufferers this means first proper detoxification and nutritional support. Thyroid hormone plays a role in your body’s ability to burn fat and ensuring that proper amounts of thyroid hormone are getting into your cell is crucial for results. Nutrients such as glutathione, superoxide dismutase, SAMe, B12 and B6 are essential to prevent hormone resistance at your cells and to improve fat loss. Your brain, spinal chord and nerves constitutes your nervous system. It is often referred to as the master system because it controls the rest of the body. Thyroid metabolism all starts in the brain. Areas of the brain known as the Hypothalamus and Pituitary send signals to the thyroid to stimulate thyroid hormone production. In fact, the Pituitary is where TSH is created. Evaluating neurotransmitters such as Dopamine and Serotonin are very important when addressing thyroid health. Deficiencies in these can cause disruptions at the Hypothalamus causing poor signaling to the thyroid gland. You will continue to suffer with symptoms such as brain fog, depression, or even anxiety if your brain’s health isn’t properly evaluated and supported. Your hormones are key when it comes to getting in the shape you want and staying there. Hormones affect weight loss, sleep, mood, energy, and hundreds of other factors in your health. Properly evaluating your hormone health is essential to recovering your thyroid health. Simply looking at TSH levels is not sufficient in understanding the true nature of your thyroid health. In our office we look at as many as 8 or 9 markers to evaluate the thyroid. You can check those out HERE. In addition we understand that the thyroid is strongly influenced by the adrenal glands. When your body produces high levels of Cortisol in response to stress not only is your TSH production decreased but the conversion of T4 to T3 is also decreased. 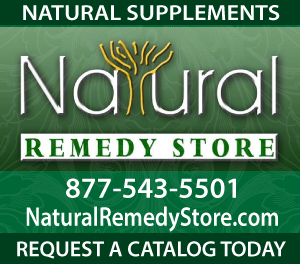 Only when adrenal health is properly evaluated and supported will lasting thyroid relief occur. 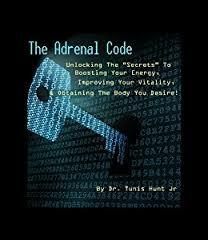 I have written a FREE eBook titled “The Adrenal Code”, which discusses this important connection. You can download it HERE. Let’s be honest, there is tons of confusing information available to us when it comes to our health. It is not uncommon to read an article or watch a television program that promotes an idea one day, only to have the opposite view expressed the following day. With social media groups, podcasts, blogs, and our “helpful” friends’ advice, it can quickly become overwhelming for someone to figure out what they need to do to improve their health. Millions are left exhausted and throwing their hands up hoping that something they try will work. In truth, regaining your thyroid health will require the help of experts. Thankfully there are amazing doctors and experts who are sharing their knowledge with the masses. Through books, podcasts, radio shows, and blogs, there is abundant information to help guide you. Unfortunately, however, knowledge on its own isn’t very powerful. Only when you implement this knowledge does it have the power to improve your life. Having the clarity of what knowledge to implement and how to implement it will be vital to achieving your health goals. This is why coaching and mentoring is so powerful! All major athletes and high level business executives have coaches to help them excel at levels they can’t obtain on their own. We find that our patients get amazing results because of the mentoring and accountability that we provide them. Instead of simply running labs and offering more pills, we work with individuals to establish a nutritional and lifestyle plan to support their entire health. We then walk with them through the process of implementation to ensure that they are successful. To truly achieve the thyroid health that you desire, it will be necessary to take a comprehensive approach. Simply medicating your thyroid gland will leave you suffering and desiring more answers. Just like a watch requires all the gears to turn in order to work properly, the same is true of regaining your health. Working on nutrition is important, but on its own, there are limitations. Same is true for exercise, or detoxification, or nervous system health. All are important, but only when all addressed together can you truly get to the root cause and discover strategies to maximize your health. Remember, you are more than a thyroid! You are a parent, spouse, co-worker, employer, neighbor, and friend that deserves optimal health. By taking a comprehensive approach with your health and partnering with mentors and accountability partners you to can achieve the amazing results that I have seen so many others obtain. Dr. Tunis Hunt is on a mission to educate, inspire, and empower the world to reach their health potentials. 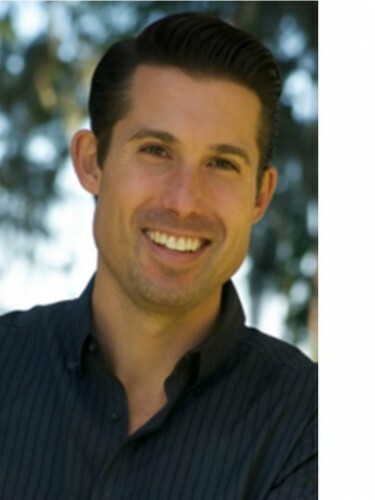 Practicing health and nutrition since 2005, Dr. Hunt has seen thousands of lives changed as he built one of the largest wellness clinics in the United States. Dr. Hunt is the author of 3 books. The Adrenal Code– a guide to help individuals boost their energy, improve their vitality and regain the body they desire, The Healthy Detox Diet and 7 Habits of Healthy People. These books combine to educate, inspire, and empower readers to take control of their health with practical tips and advice. For more interesting articles by Dr. Tunis Hunt, head over to his website, DrTunisJr, follow him on Twitter, and subscribe to his page on YouTube. Questions or anything to add about healing the thyroid? We want your thoughts, please. You might just help someone else in need.